If you’re as much of a Disnerd as I am, the overwhelming need to return to any of the parks can sometimes feel stifling. Particularly if you have neither the funds nor the vacation time. Of course, you can ignore it, but as any true Disnerd knows, the longer you ignore it, the more the urge builds. 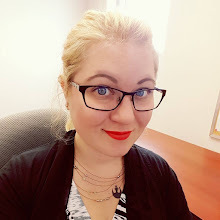 In fact, often it will build to a point where every moment of the day, you find you have to talk yourself out of quitting your job, dropping everything, and hopping on the next flight to Orlando. Figuring out how to combat this urge can be a difficult task. This is largely due to even your subconscious knowing nothing is quite as satisfactory as the real thing. So what are some of the things you can do to help curb your Disney appetite without breaking the bank? Creating a point to connect with the magic can come from a variety of sources, but the movies are usually one of the best ones. After all, for most of us, they’re what initially drew us to Disney, and they give us the stories, characters, and music we love. What’s wonderful about them is it’s not difficult to find a movie that counters any mood, no matter how down, out, or anything you feel. 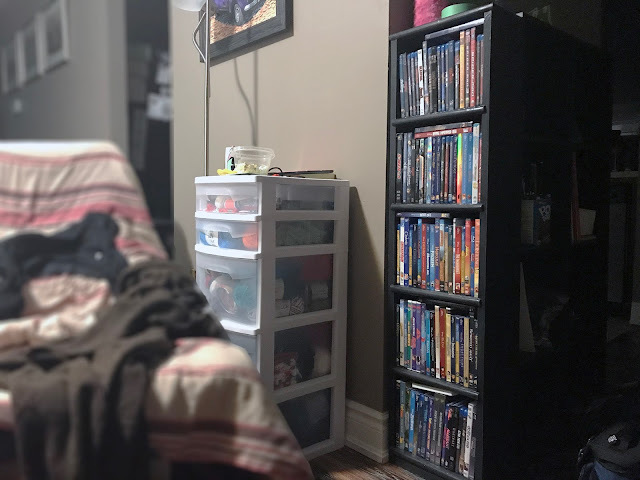 One thing my husband and I did was buy a shelf just for our Disney movies and place it so it faces into the seating area in our living room. That way, we never have to go searching when we want to watch something magical. This one can get a little pricey if you are not good at controlling your money, but if you can keep a handle on your plastic, it’s a great way to take in some of the atmosphere without having to jump on a plane or drive for hours. One of the best parts about visiting the Disney Store is most of the employees are usually Disney fanatics themselves. It’s a great opportunity to find another Disnerd to just gush about all the awesomeness of Disney with. 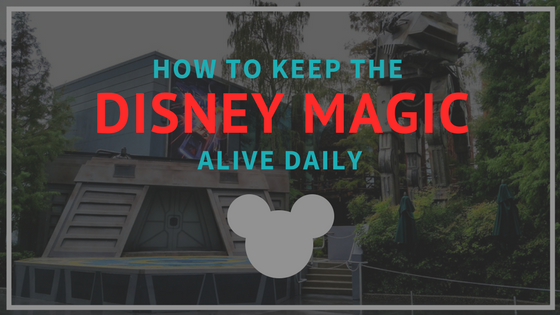 And if they’re someone who takes advantage of their employee discount to visit the parks often, they’ve usually got great tips for things to see and do on your next trip! 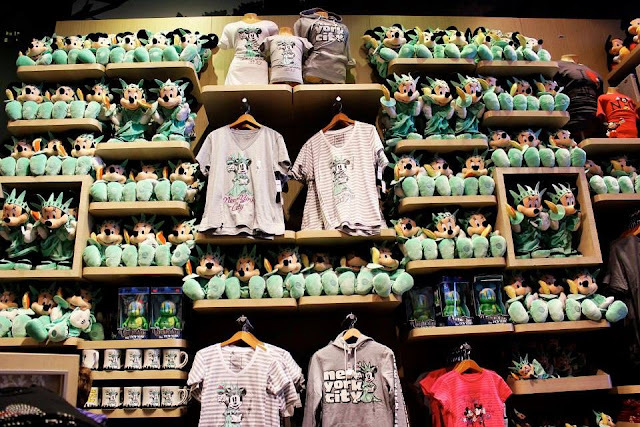 If you can afford it, buying a new coffee mug or even seeing what’s available in the clearance section can help give you that ‘Disney merch’ rush! We’ve been slowly building our Disney mug collection over the years, and use that as our treat when we’re craving a trip. Spotify - It seemed like for a while, their Disney music was limited, but now you can find it all on Spotify. 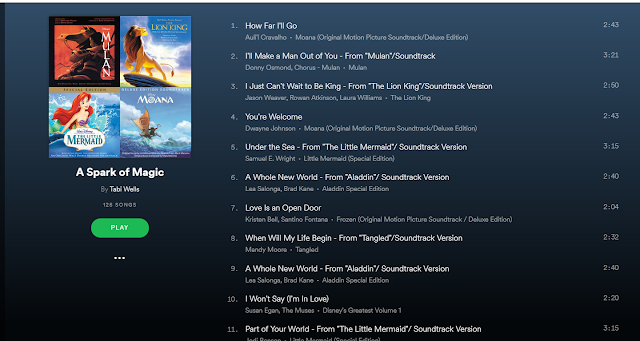 They’ve even licensed some of the official park music soundtracks, so you can easily create a mix of both. If you’re unfamiliar with Spotify, or unsure of what search terms to use, you can view my "A Spark of Magic" playlist to get started. 8tracks.com - On this site, you can find a lot of the full ride tracks, with the actual walkthroughs and not just the music. I think I have a list of over 200 songs on it, broken down by parks, types of rides, places in the parks, you name it! A good place to start is this main search for Disney Parks music. You can sign up via Facebook and save collections into one place, allowing you simply to play all the collections in one solid playlist. Sorcerer Radio - This station plays music from and related to the Disney Parks all day long. I find it’s great if you’re looking just for some ambient Disney park music. They tend to focus on specific sets per hour, walking you through all the different musical aspects of Disney. You can find out more here. Whoever said you need money to plan a trip? 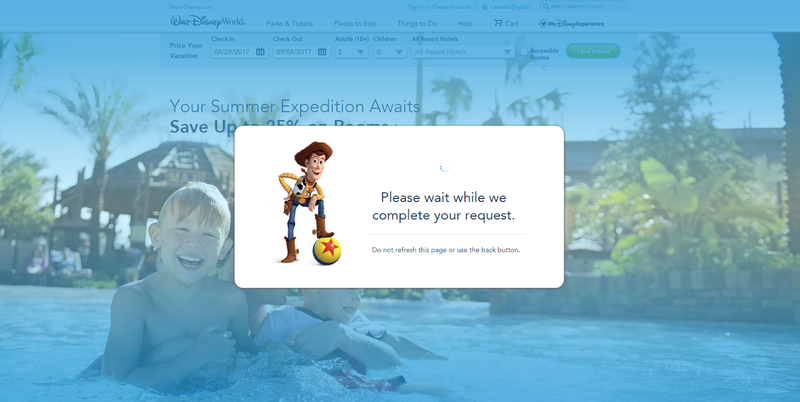 Thanks to Disney’s super easy trip-booking site, you can plan as many Disney vacations as you want, without ever actually having to book any. In times like now, when I am literally having to stop myself from running to the airport, this is usually my go-to method. I can dream and plan, and then cry a little when looking at how much it would cost. Planning Disney vacations is a whole lot of fun, and this gives you the opportunity to get ideas for when you can finally go--everything from which hotels you’d like to stay at, to what parks you want to spend time at, restaurants, and the most important part, what price point you would be looking at. And who knows, maybe one of those plans you fiddle around with will end up being doable, and instead of hitting ‘empty cart’ you can choose "BOOK NOW"! What are some of your coping tactics when you are bit by the Disney bug?